“I believe in true love. I believe love conquers all. 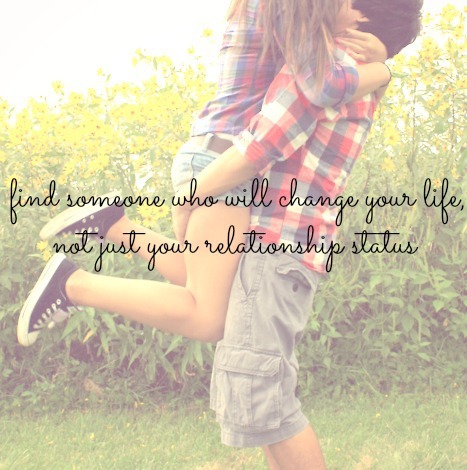 But finding that person who does it for you and knowing, that person loves you back. I couldn’t agree more with what Haley said. I do believe in true love. I do believe that love conquers all. But I also know that love can be hard. That it’s hard work from time to time. it really is the most beautiful thing in the world. The best feeling there is. To me, it’s the biggest force in the universe. It’s what I’ve wanted all my life. That’s why I fight so hard. Although I can’t complain with my love. He’s the best I ever had. A little bit a work in progress but still. I love the serie of One Tree Hill (even though I stopped watching after season 6, since at the end of season 6 Lucas Scott and Peyton Sawyer-Scott leave One Tree Hill to never come back. In my opinion you can’t have OTH without Lucas and Peyton. It’s just doesn’t work. They were the two characters that I could find myself in. Peyton for the emo-ness, the loneliness, the feelings, the drama and of course, the music. I even have her “100 songs to save your life” list on my computer. Lucas I could recognize myself in since he’s also a writer. And since he’s different from the rest. So you can imagine my reaction when it became clear that those would be soul mates for life. And now I have my own ‘Lucas’, whom I love deeply. I’m such a happy ‘Peyton’. All my love to him. He makes my life so much easier. He makes me so happy. He’s my shelter in times of need. He’s there to protect me from harm. I love him, for every little thing he does. Because every little thing he does, has a huge impact on me. This was her big day. The day she’d been dreaming of ever since she was a little girl. She’d have the perfect wedding. The perfect dress, the perfect day, the perfect guests, and most of all: the perfect groom. It had all fallen into place. They had met a few years back and it had been love at first sight. Their love was so intense and they spend so much time together that people told them it could never last. They said that this love was too good to be true. But still, they made it last. 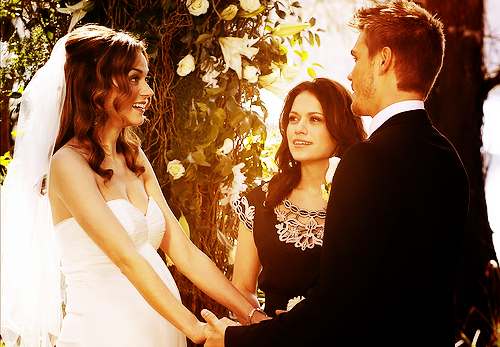 They showed the world that fairytales do exist, and that people can live happily ever after. Today was yet another chapter in their love. Her hair was done beautifully, her make up was enchanting. She looked like a true fairytale princess. He had proposed to her on a romantic evening out. It was just like in the movies. They had the most romantic dinner and were going to end the evening with a dessert. When all of a sudden the waiter came with two champagne glasses. In hers, there was a beautiful golden ring. With a big but elegant diamond on it. As soon as she noticed the ring he got off his seat and kneeled next to her. “Aleera… ever since we met I fell in love with you. And I haven’t stopped falling since. We’ve been through so much, good and bad times. We had people being against us. But we made it nonetheless. I love you more and more with every day. She had been speechless for a few seconds. Before stuttering “yes! of course!” and falling into his arms. And now here they were, six months later. Today, she’d marry her one true love. she saw him standing there. He looked so heartbreaking beautiful. As he turned around, her heart skipped a beat. Then everything went by way too fast for her, but she enjoyed every moment of it. They said there vows and then came that wonderful moment. As he leaned in to give her the best kiss she ever had. After the kiss, while she was still trying to catch her breath he leaned in and whispered in her ear.